Cherry Blossom Cottage is a brand new holiday letting cottage in the process of being built and will be ready for 2013 It will offer all the comfort & luxuries you require. 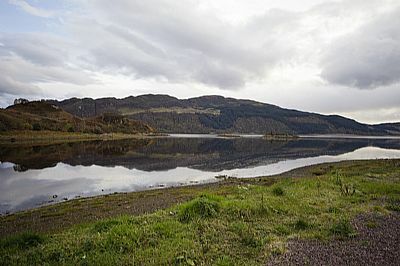 It is situated on the shores of Loch Alsh & has wonderfull mountain views and is only a few minutes from the village of Dornie which boasts the famous Eilean Donan Castle. 10 minutes drive to the Skye Bridge at Kyle of Lochalsh or to see the palm trees of Plockton a 15 min drive. It is an ideal central base for touring round Skye & Lochalsh and is also central for hill walkers and climbers with the Five Sisters of Kintail & Glomach Falls close by.